You've done the hard work. Your product or service works beautifully — but something is missing. People just don't see the big idea — and it's keeping you from being successful. Your idea has an explanation problem. 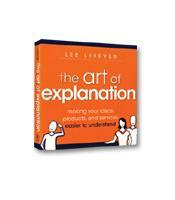 The Art of Explanation is for business people, educators and influencers who want to improve their explanation skills and start solving explanation problems. In this summary, author Lee LeFever provides a guide to helping audiences fall in love with your ideas, products or services through better explanations in any medium. Explanation basics, what causes them to fail and how to diagnose explanation problems. To create an explanation strategy using simple elements that builds confidence and motivates your audience. 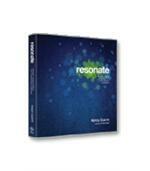 To produce remarkable explanations with visuals and media.